Join our classic Jewish Heritage Tour to Israel! These Israel Tours are designed to engage participants from a Jewish perspective - exploring the historical, political and religious sites and institutions that make Israel such a unique destination. Online booking is available for all our Jewish Heritage In Depth Tours to Israel. Note: Standard rooms are offered throughout. 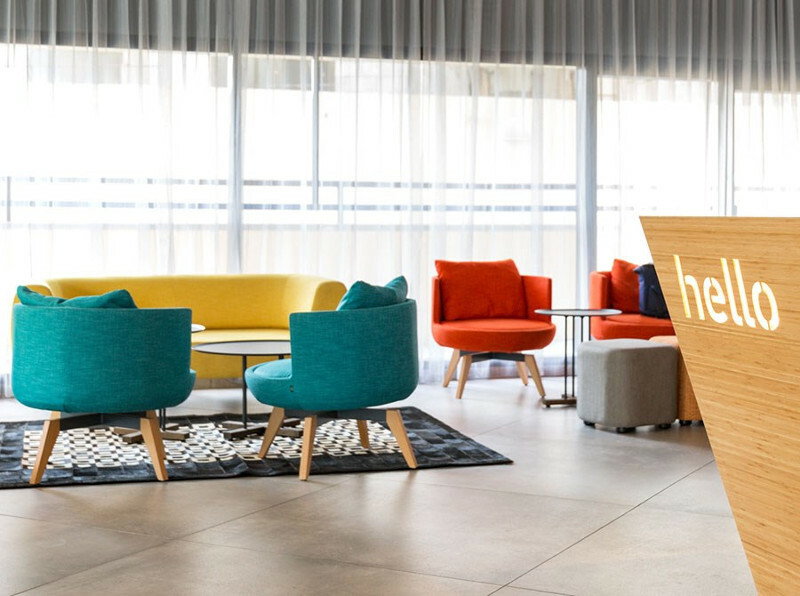 If standard rooms are unavailable at time of booking at any given peoperty, upgraded rooms, if available, may be offered to client at an additional charge. Hotels may be substituted with similar hotels in the same category. • Today, we drive north along the Mediterranean coast to Caesarea, the former Roman capital of the area. Here, we view the ancient theater restored as a concert venue, the aqueduct, the ancient port as well as the impressive excavations of the Crusaders' city. • We continue to Haifa to visit the Clandestine Immigration and Naval Museum ("Af al Pi Chen") and hear the story of the illegal immigrants who came to Israel at the time of the British mandate. • Next, we visit the UNESCO World Heritage site of Akko and walk through the old port and color bazaar. • Later this afternoon, we continue north along the coast to Rosh Hanikra, and descend by cable car to discover the chalk cliff grottoes carved out by the Mediterranean waters over time. 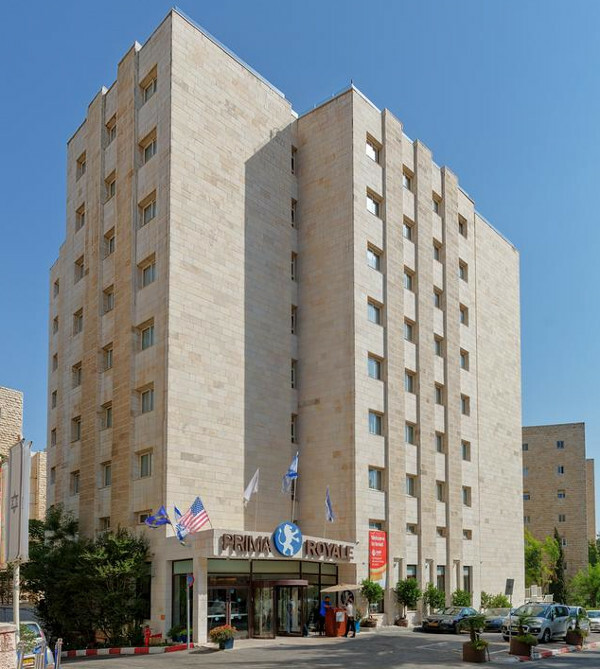 • We continue to the Galilee to check into our kibbutz and enjoy dinner together this evening. • Today, we tour the mystical city of Safed, center of Kabalistic practice and one of the four holy cities in Israel, where we explore the narrow alleyways lined with ancient synagogues and artists' galleries. • We enjoy a jeep ride up to the Golan Heights, where we pass former Syrian bunkers and stop to take in the view at the Mitzpe Gadot overlook, the monument built in honor of the Alexandroni brigade. • We proceed to a magnificent observation point overlooking the city of Kuneitra and the Syrian territory. • We visit Tel Hai to see the ‘Roaring Lion” monument and learn about the heroic battle fought by Josef Trumpledor and his comrades in 1920. • We return to our kibbutz for dinner together this evening. • Following dinner, we meet with a kibbutz member to learn about their unique lifestyle and the challenges and changes to their communal arrangements over the decades. • This morning, we travel to Tiberias on the shores of the Sea of Galilee, where we visit Rambam's grave. • We continue through the Jordan Valley to see the extensive Roman ruins of Beit Shean, destroyed over 1,300 years ago by an earthquake and recently excavated and reconstructed on a massive and impressive scale. • We also visit Beit Alpha to view the intricate mosaics in the synagogue. 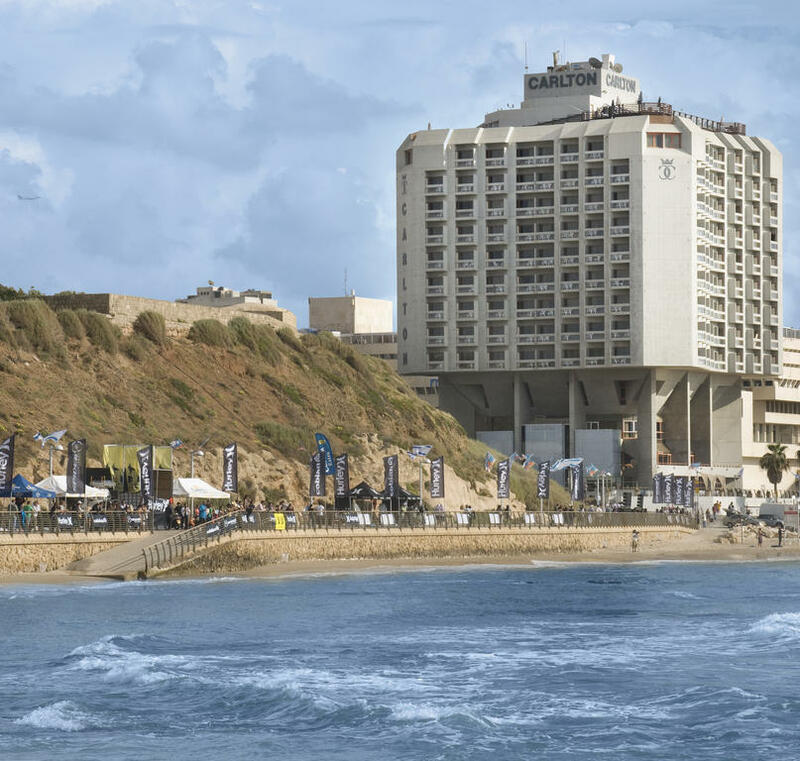 • We continue to Gan Hashlosha (Sachne), where weather permitting, we enjoy a dip in the sparkling warm waters. These natural springs are often referred to as the original Garden of Eden. • We ascend to Jerusalem via the Jordan Valley, stopping atop Mt. Scopus for a special opportunity to say the "Shehecheyanu” as we look out over the City of Gold for the first time. 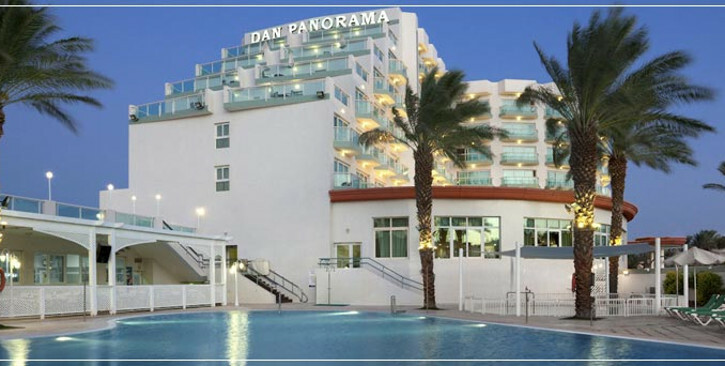 • We check into our hotel and enjoy an evening at leisure and dinner on own. • We begin our day with a visit to the Tomb of King David on Mt. Zion. • We enter the Old City and stroll through the Jewish quarter, stopping to explore the Cardo, the ancient Roman marketplace now featuring outstanding shopping opportunities. Then, we visit four Sephardic synagogues in the Jewish quarter restored after the 1967 War. • We continue with a tour of the Western Wall tunnels, where we discover the archeological wonders that remained untouched for centuries. • Our next stop is at the Davidson Center, built into the ancient stones adjacent to the Temple Mount. Here, we learn about the construction and history of the Temple Mount area through multi-media exhibitions. • We stroll through the colorful marketplace to the Jaffa Gate and visit the Tower of David Museum to learn more about Jerusalem's 3,000 years of history. • This morning, we share in the joy of the many B'nai Mitzvah ceremonies at the Kotel. • We drive through Mea Shearim, one of the oldest Jewish neighborhoods in Jerusalem, to learn about the unique lifestyle of the Ultra-Orthodox residents. • At Mt. Herzl, Jerusalem's military cemetery, our guide imparts some of the heroic stories of those buried here, including Theodore Herzl, Golda Meir, Yitzhak Rabin and Shimon Peres. • Our next stop is at Yad Vashem, Israel's memorial to the Holocaust. Here, we view the many moving exhibitions, including the Hall of Names and the Avenue of the Righteous Among the Nations. • This afternoon, we explore the bunkers at Ammunition Hill, the official museum symbolizing the liberation and reunification of Jerusalem. 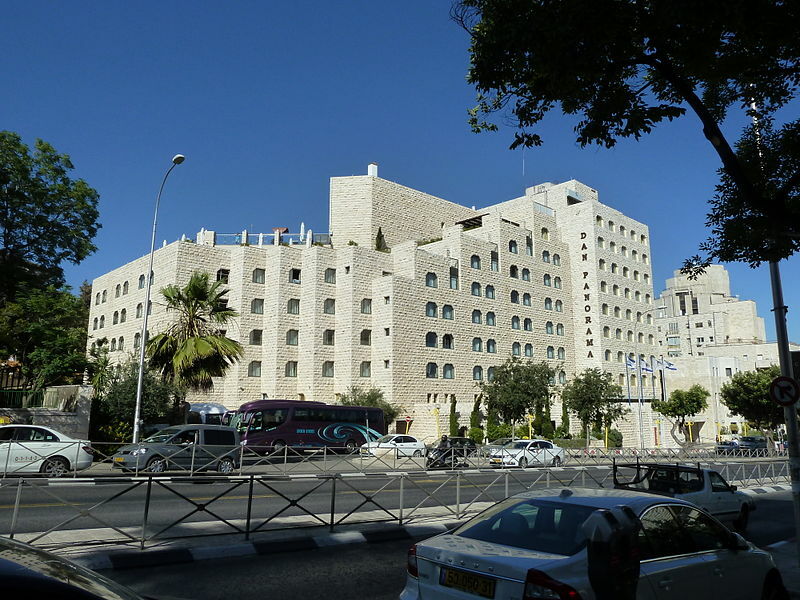 • We drive by the Knesset, Israel's Parliament and see the bronze menorah statue out front. 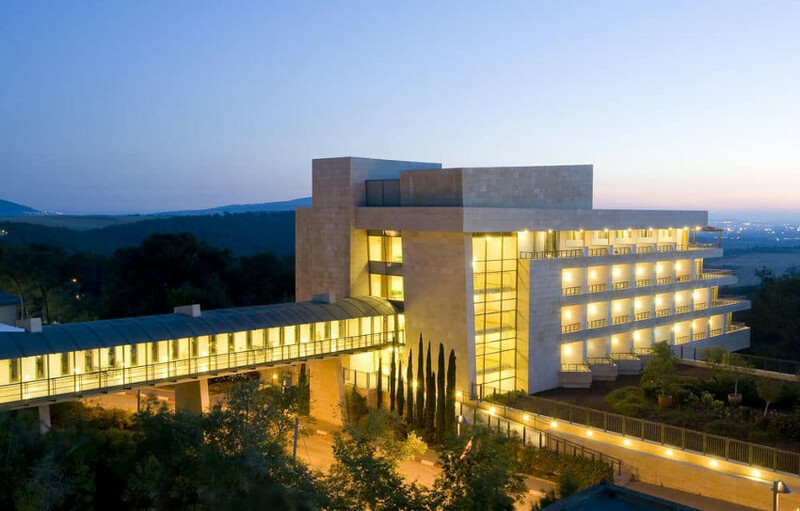 • Later this afternoon, we browse the extensive, newly renovated galleries of the Israel Museum, which is world class in every way. The galleries range from pop and modern art, back through the Renaissance and Classical periods, with a strong emphasis on Jewish and Israeli archeological history. Walk through the iconic Shrine of the Book, which houses the Dead Sea Scrolls, and see the impressive miniature replica of Jerusalem as it was during the Second Temple period. • Along the way, we stop at Qumran, the site where the Dead Sea scrolls were found by a local shepherd. • We descend the mountain and head to the beach for lunch and an unsinkable swim in the healing, salty waters of the Dead Sea, the lowest point on earth. • Free morning with the opportunity to attend Shabbat services on own. • Free day to enjoy the calm of Shabbat. • We travel south through the Negev Desert to visit Timna, a large geological and archaeological park with impressive and beautiful desert stone landscapes. Once home to King Solomon's copper mines, we marvel at the huge multi-colored rock formations and copper mines. 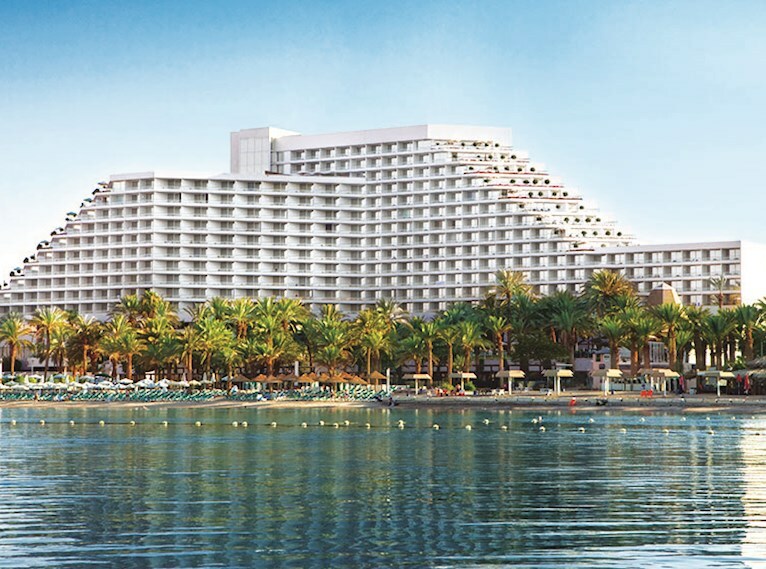 • We continue to Eilat located on the Red Sea and visit the fascinating Underwater Observatory, one of the largest seaquariums in the world, built into a coral reef in the Gulf of Eilat. • We check into our hotel and enjoy a relaxing evening and dinner on own. • Enjoy a day of leisure relaxing or enjoying some of the many water sports on the shores of the Red Sea OR opt for an exciting day tour to Petra, Jordan*. • A mini-bus will provide early morning pick-up at our hotels and transfer to the Jordanian border for crossing formalities. • After assistance with visa processing, we continue across the border into Jordan, meet our Jordanian guide and board our bus to begin our touring experience. • We drive along desert highways to the astonishing red rose city of Petra, once renowned for its massive architecture, pools, dams and water channels. Petra is the legacy of the Nabateans, an early Arab tribe who settled in southern Jordan more than two thousand years ago. • Our visit begins with the possibility of a short horseback-ride for about a half mile to the entrance of the Siq. • Petra is famous for its huge monuments such as the Treasury, Royal Tombs, the Court, Roman Theatre, Roman Street, Qassier El- Bint (Palace of Pharaoh's daughter) and many other smaller monuments which fascinate visitors. The city itself is almost 45 square km and is considered to be the Eighth Wonder of the World. • We enjoy a late lunch together. • We return to the Jordan-Israel border around 6:00 PM to conclude crossing formalities. 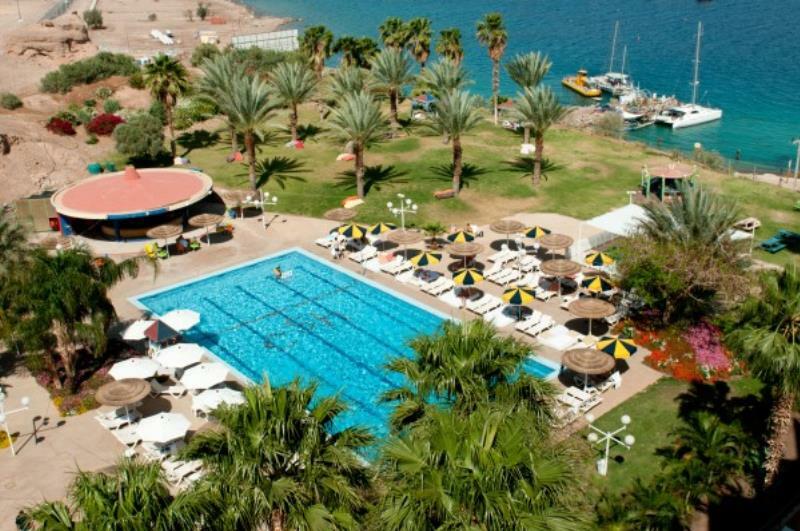 • We return to our hotel in Eilat for a free evening and dinner on own. • This morning, we travel north to Mitzpe Ramon to gaze into the Ramon Crater, a geological wonder. • We proceed to Sde Boker to view David Ben Gurion's gravesite and original hut, where we recall his dream of turning the desert green and see the ways it is becoming a reality. • Afterwards, we enjoy an authentic biblical experience at a Bedouin tent, including a camel ride, desert hospitality and a light lunch. • This afternoon, we head north to the Israeli Air Force Museum at Hatzerim to view the aircraft and learn the history of Israel's brave fighting force. • We continue on to Tel Aviv. Upon arrival, we check into our hotel and refresh, followed by an evening at leisure and dinner on own. • We depart for Ben Gurion Airport for our flights back to the United States, landing later today. L'hitraot! The above program can be extended and customized for groups and private families. in advance and are non-refundable. Ben Gurion airport will only process the refund for any goods purchased since last date of entry into Israel.